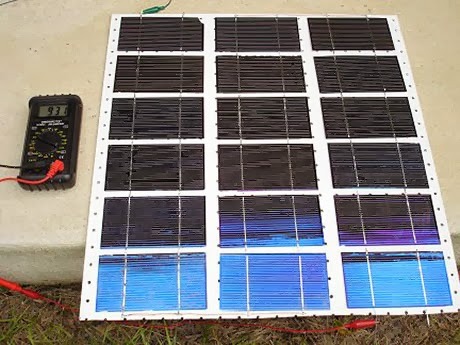 Building your own solar panels are so easy that a teenager can do it. Watch the video below to see how an example of a solar panel system built by a teenager as a high school science fair project. And this is certainly not the only video on the topic. Browse YouTube and you will find lots of examples of how to build your own homemade solar panels. The end point here is that if a teenager can do it, then you can probably do it too. Which means there is no reason why people couldn't build their own solar panel grids for their home. Also below is a 2nd video of a teenager who built a "solar death ray" (amusing title more than anything) out of mirrors that creates an intense heat that can melt rocks and metal - which combined with a single small voltaic solar panel could produce significant electricity for your home.